So here’s the deal: the whole Florida Man meme started (or at least started becoming a thing) back in 2012. 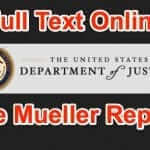 It originally arose because a percentage of Internet citizens are purported to have noted that there are often strange things afoot in Florida, to wit: the news out of Florida is often seen to be stranger than that in other parts of the country. And, often, the headlines out of Florida start with “Florida Man…”, such as “Florida man arrested, accused of shoving woman to get to egg rolls” and “Florida man attacked by a ‘crazy squirrel’ gone nuts” (both, yes, actual headlines). 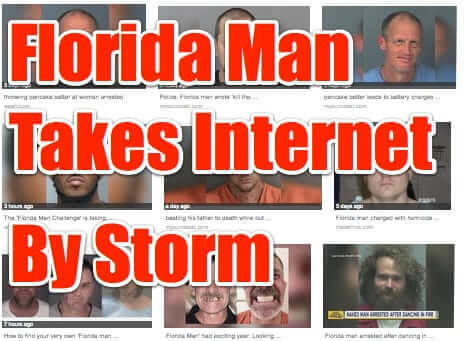 But when the Florida Man meme really took off was when someone created the Florida Man Twitter account, @_FloridaMan, which at last count had over 423,000 followers. 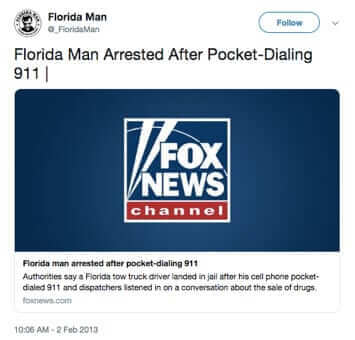 Created in January of 2013, one of @_FloridaMan’s first tweets was the story “Florida man arrested after pocket-dialing 911”. That tweet garnered a grand total of 2 retweets and 5 likes. Contrast that to Twitter Florida Man’s latest tweet, which was shared over 600 times, and has nearly 2000 likes. The Florida Man Challenge frenzy was started on Twitter on Tuesday, March 19th at 10:03 a.m. by Swervin Merv, a 20-something UT (University of Texas) Dallas student, also known as @g_pratimaaa on Twitter. 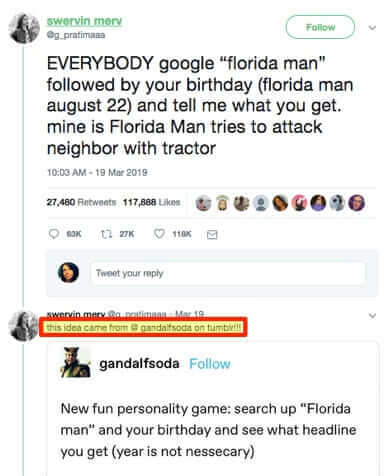 We say sort of because the Florida Man Challenge was really started by a Tumblr user with the handle GandalfSoda. And Swervin Merv says as much, although it seems not many have cared to look that far. 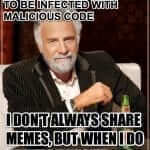 Still, it was Swervin Merv who ported it over to Twitter, and from there her tweet went viral, with nearly 30,000 retweets, and that’s not counting how many times it’s been shared on Facebook, Insta, and other places. All that said, there really is no accounting for why a random tweet by a college student with not all that many followers in the scheme of things (she has fewer than 1000 followers at the time of this writing, and that’s after two days of her Twitter ID being ricocheted around the Internet), blew up like it has. If you’ve played this game, let us know your favourite Florida Man headlines! 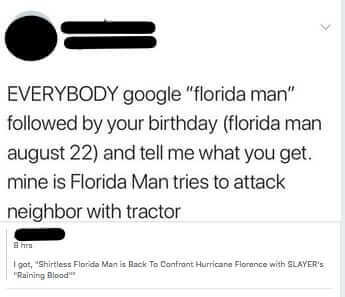 You may recently have heard about the 'Florida Man Challenge' - where you Google the phrase 'florida man' followed by the date of your birthday. 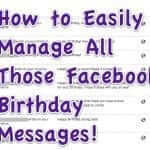 Or maybe you saw a friend post it on Facebook, Twitter, Instagram, or elsewhere. And now you are wondering what it is and how the Florida Man Challenge got started. Here are the answers to the questions that you have about Florida Man, and the Florida Man Challenge.